We are delighted to be able to offer the ‘Infinite’ moving venue for hire, which is perfect for temporary events that need a semi-permanent structure. 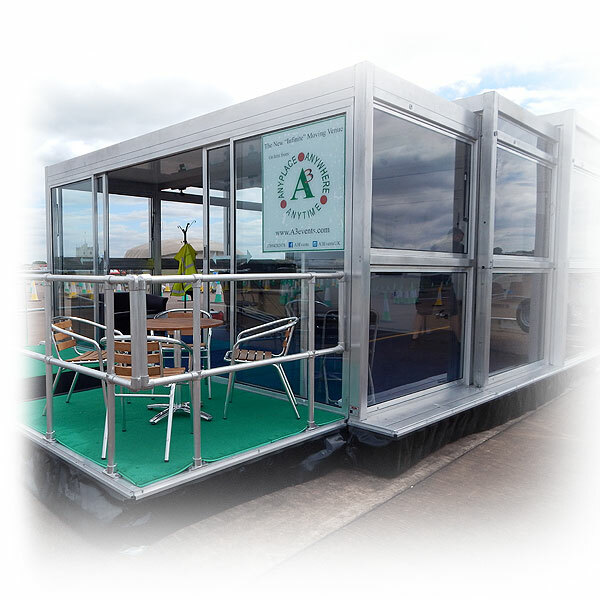 This movable exhibition or promotional roadshow venue offers an internal space of 6m x 6m, has a carpeted floor and also has integrated lights. It has internal electrical sockets, powered by either electrical hook up or external generator. With the sheer volume of outdoor events taking place around the UK throughout the year, these event trailers are always in demand, so if you are planning a corporate promotional campaign, an exhibition or anything else, always try to book as far ahead as possible. Contact us to discuss your requirements in more detail and we will put together a bespoke quotation for you based on the number of dates required, the location for where it is needed and any associated corporate branding you might need applied to the unit.